Accommodation for 10 guests in 5 cabins which are all en-suite: 1 King, 3 Queens, and 1 Twin which can be configured to King upon request. Each cabin has independent A/C, Sony and Apple flatscreen LED TV with access to onboard server film library with over 500 films, Bose hifi music system, high quality bed linens and towel sets including nice thick NENNE-branded beach towels. The very large master cabin has a desk/dressing table and a comfortable couch. 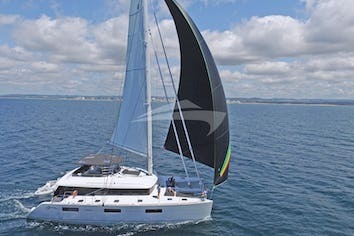 Accommodation for 10 guests, in 5 cabins which are all en-suite: 1 King, 3 Queens, 1 Twin which can be configured to King. All have independently controlled AC, Sony TV and Apple TV with access to onboard server film library with over 500 films and Bose hifi music system. The very large master cabin has a desk/dressing table and a comfortable couch. 6'6 3/4" X 5'1 1/2"
The port crew cabin can only be accessed via the forward deck and the starboard crew cabin can be accessed from inside the boat (if the twin cabin is not used during the charter) or we lock the door and the third crew member enters from the forward deck. The crew cabins have their own heads. Thank you for making family gathering so special! From the start you made each experience flow with ease even when the odds were against us. The knowledge you each bring to the table is priceless and the grace you express through your hospitality is 5 star! Happy New Year! May you years ahead be filled with abundance. We can’t thank you enough for making this past week so incredible. Anna and I had a blast sailing, snorkeling and diving with you. Audrey: Your meals were incredible, and I believe you taught us some new tricks that we’ll use going forward (e.g. bacon roses). Also, thank you SO much for organizing our open water certification, our dive on the Rhone is something we’ll never forget. Donald: Thank you for the many hours of great conversations, jokes and card tricks. If you find the time, best of luck with the hang gliding in the nearby area! Dennis: Thank you for all of your help in organizing all of our water activities and mixing our cocktails. We wish you all the best with you future sailing endeavors, and fingers crossed, everything works out with the Black Pearl! You all are a truly wonderful crew! 14-22 June,2018 – An Unbelievable Family Experience!! All the girls and Jack had such special moments – boom jumping,tubing, learning magic tricks – and we adults enjoyed the sailing, stories and special cocktails. Well, she said it all! I thank you so much for a fantastic trip. I couldn’t have said it better than Nana. Thank you for the amazing meals,fun activities (like tubing and of course boom jumping) and just an all around awesome time! Dennis, I am so grateful for you. Not just the fact that you were always getting me things, you were so, so kind and I know the kids looked up to you. I cannot begin to say how grateful am for you and your professionalism. You made this trip so fun and it was incredible to see the way each family member was entertained constantly. Truly an unforgettable experience! Thank you! Thank you for a truly amazing week. We loved every minute of it and can’t wait to come back again. And a special “thank you” for accommodating the food requests. The kids enjoyed all of it, which is impressive coming from the picky one. Of course, we all enjoyed every meal and the constant stream of cocktails as well. We were lucky to have you all as our crew. We couldn’t have ask for a more professional, funny, caring, knowledgeable and fun group! There are not enough stars to rate your attention to every detail of our week on the Nenne! 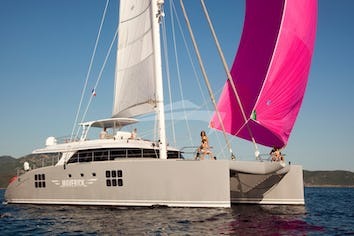 Wonderful snorkels, sails, meals, cocktails, companionship, swims,entertainment, etc. A perfect family vacation for 3 generations! It was indeed a BIG DEAL. Thank you so much! Thank you so much for making our 50thAnniversary the perfect week. So much to thank you for. Everyone loved it. You’re the best! Food was the best! Drinks and all the extras too numerous to mention. We loved this trip more than any we have ever taken! Thank you Audrey for all you do! Donald, you are unique! Never met a Captain who makes everything works o well. Audrey, thanks for the best food and thank you for making it all possible. Dennis, you are wonderful! We loved the “Nenne”. With love from all of us! P.S. I loved the stern ladders which worked so well for me! Dennis – You have done a great job. Thank you for being such a good role model. I can’t thank you enough! And I truly can’t express how much I needed the trip and how grateful I am for making my children so happy! The boat was awesome and beautiful, and amazing. It stands out the most (in a good way). And is white as a dove. The crew was awesome. I wish I could of helped, but you guys are better! They are all so nice and helpful and I hope to see you guys again. Thank you! P.S. Your food Audrey was awesome; Donald, you were so funny and Dennis you were very sweet and kind. This was the best experience I have ever had. I didn’t like the idea of living on a boat for a week, when I got here my mind just twisted around when I got on the boat. Mostly because you guys were helpful, sweet,kind, funny and so many other things. The service was amazing, and the food and adventures were all so, so,so, so amazing. This week has been a dream come true! Thank you so much for making an experience of my life. I appreciate everything you have done for me and my family this week. P.S. Thank you so much for teaching me to scuba dive Donald! Thank you for a phenomenal week aboard the Nenne,re-christened as the “Land & Proud Bateu Fernie La Bouche”. Thank you for teaching our girls to dive Donald. We couldn’t have asked for abetter introduction. 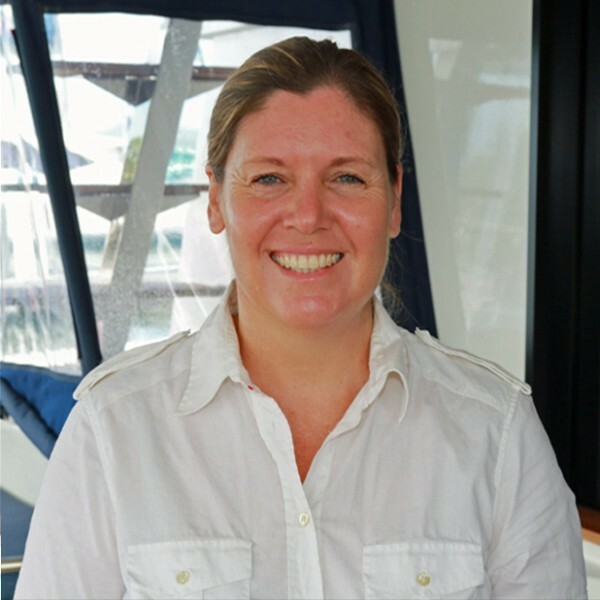 Audrey – Thank you for putting up with more chaos on a boat than is recommended. Your food was worth every simple calorie thatwe don’t have to count. Dennis - Stay cool and as you say, it has been a HUGE pleasure. You all have been fantastic,the island are stunning and look for us in the Unemployment Bay. 5-13 March, 2018 ~ One of the most incredible experience sever! Dennis: 3rdtrip for the young lad – The hardest worker we’ve ever seen, he’s going to be the best captain for the future. SCUUUZZZE ME!! This sums up the entire trip!! You made the trip for all of us! Donald, Audrey & Dennis crew made the trip magical. Thank you for putting up with our antics& special requests! You are friends for life – We’ll see you again soon! Had an excellent time with everyone onboard. Wonderful laughs & stories with Captain Don, Audrey & Dennis. Great to beleive @ 50 and celebrate the milestone birthday with friends. We couldn’t have asked for better friends to celebrate a “60th” Birthday! Always showing up with a smile & a story. Audrey, you always outdid yourself with each meal, the prep and hard work. Donald –Navigating & taking us on the best sites & excursions, card tricks, and stories. Dennis - “D money” adding a delightful sense of humor and style fitting right in with our crazy crew! You will go far in the world. You were all so patient & top-notch accommodations. Adding the extra touches to make our holiday second to none. We hope to see you all again soon and please look us up in the states. Best vacation ever! Donald, Audrey and Dennis you are the best crew! We have had so much fun. So much good food. So many great stories. How is it possible to have another amazing trip? Of course, you have done it again! The food, drinks, laughter, and adventure were all perfect. We hope you are able to join us in the states, so we can take care of you for once. I know our paths will cross again. Thank you for everything! Thank you so much for the wonderful week, loved, loved it(again). Donald thank you for the snorkeling, it was great. Audrey thank you for the great meals. We will miss you. This past week spent with my brother and family, and with you three has been one of the best weeks I’ve ever had! You all did everything possible to make sure every detail was taken care of. The food was incredible! (Audrey, maybe, just maybe I will be inspired to cook again!) Donald, you kept us laughing and took care of making sure we were entertained and safe – all at the same time. Richard, you noticed everything that needed doing and it’s done before anyone knows it needed doing!  Thank you all for an incredible experience. Next time I know I still won’t dive but I will be an experienced snorkeler– oops – I mean “professional”! Please let me know if you are in Atlanta or Colorado any time! We would love for you to visit! And I do hope to be back on your boat again! You’re the 3 most awesome professionals I’ve ever had the privilege to know! You may not know this,but we have talked about doing this trip for 30 years! Life & responsibilities got complicated and we’re just now realizing this dream. And now that it’s over, I can’t believe what we’ve been missing all these years! You three are amazing,each setting the bar so high in your very different rolls. Donald – you are most definitely “the most interesting man in the world” with your vast knowledge of virtually every topic covered this week, not to mention keeping us all laughing the whole week! Audrey – good grief the food was amazing down to the very last detail. I will bethinking about almost every dish you made for quite awhile, and wishing I could just eat at “Audrey’s” again someday. Richard - what can I say? You are the man filling needs before they are even recognized as a need. And you have the most gracious spirit about you. A joy to be around!! You three will see this family again someday! Thank you so much for the best week EVER! Here’s wishing you 3 a lovely break followed by an amazing rest of 2018 with your individual lives and your charters. Being in the “service business” all my professional life,I know what it means to “delight” one’s customers. You 3 went beyond the “delight” the customer many times that these families have decided you are “professional delighters”. Seriously, you made all aspects of our trip so fun, easy,varied, relaxing and meanwhile….a trip that we4 will not forget. I really appreciate you and we hope/plan to see you in the next 2 years. It is hard to put into words how incredible these past 7days have been! 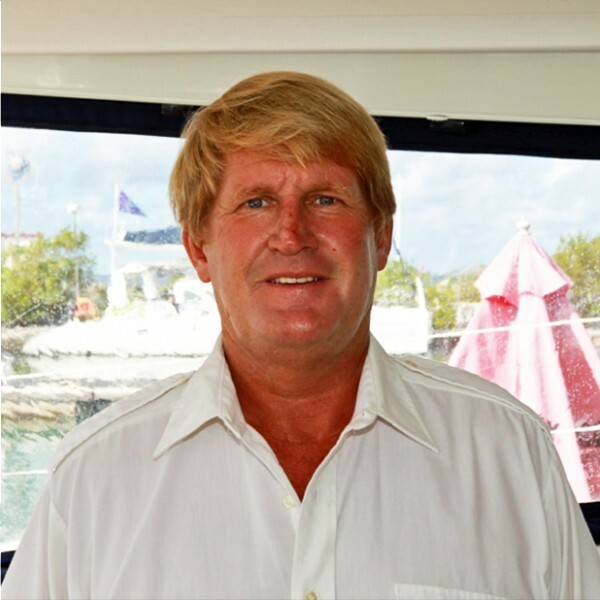 Donald, thank you for the continuous belly laughs, getting us all scuba certified and sailing us around the BVIs! Audrey – no words. Your artistry and creativity with food is so enjoyable, as well as your sweet & caring spirit. Richard, you are the man! Thank you for being an incredible host who always had a smile on your face! The three of you are a dynamic and incredible team. I honestly had as much fun getting to know ya’ll as much as the trip. If you are ever near Portland, OR please visit. Josh and I would love to host you. We will be seeing you guys again! Thank you for making this trip unforgettable. No matter where life takes us, you will always be a part of some of our best memories. I am personally anticipating some new, exciting and good things for 2018and your kindness, service and selflessness was the first of these things –thank you. December 27, 2017 – January 4, 2018 – Family New Year Charter– Truly First Class! WHAT a trip! We had such a blast out on the Nenne, certainly no something this group will forget. Audrey, OMG your food – let me know as soon as you release a cookbook. Despite all the healthy options, I’ve eaten enough of everything to put on 10 lbs. Donald – your jokes are almost as good (read:bad) as Bruce’s…kept us laughing the whole trip. And Richard, amazing drinks/hospitality/literally everything else required on the boat. Plus, what a phenomenal G-Easy rap star quality. I hope we can come back and sail again with you three soon! Y’all made this week on of the best in my life. Totally truly first class, amazingly attentive and looked out for every need. Thank you for being such great loving people. The world need more people like you. Thank you for making me feel welcome and having my back. Thank you for the best week ever. You all really out did yourselves. I will be singing Business Time for years to come. Thanks for the incredible diving,meals, drinks & most importantly, shooters! Here’s to the best 2018! I came aboard with fears of claustrophobia and boredom. Boy, was I wrong!! Thank you for pampering me in ways I could not imagine and for teaching me to slow down and relax again! This has been the vacation to top all the others! The food has been incredible,and each meal anticipated with joy. Audrey, you are amazing! Donald,you are an amazing captain and all-around jokester/host! Thank you for all the humor and fun. Richard, you are such a great bar tender and non-stop host! Thank you for all the kindness and smiles. It’s been memorable, can’t wait to come back. I can’t begin to describe how incredibly awesome the past10 days have been. The drink, snorkeling,food, sling shot….just too much to list. Getting to know Audrey, Donald and Richard was a bonus to an absolutely wonderful escape. 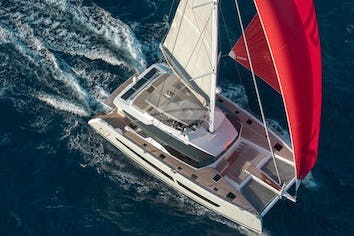 Nenne is a brand new yacht available for charter starting December, 2017. Comments below from Guests of Donald and Audrey and crew on Previous Yachts 2014-2017. CONSISTENT RAVE REVIEWS FOR THE HARPER CREW!! One of the finest weeks of our lives spent with our children while celebrating our 43rd wedding anniversary. Captain Donald, Audrey and Richard made it truly special! I cannot say enough about their hospitality, expertise and skills making this truly a family experience to remember forever. The food was sensational! A must to repeat….. soon! Captain Donald, Audrey and Richard. Thank you for a wonderful week! We have had a blast seeing all there is to see and do in the British Virgin Islands. Thanks for all the special attention towards my son. He will remember this trip forever. Also thanks for all the delicious food and all the chicken cooked all week. The ship was beautiful, but our experiences were made by the careful attention of the crew. Thanks for a wonderful vacation! Thank you so much for the great week we had in the BVI. You are a fantastic captain, the food was amazing and the attention to detail by you and your crew was second to none. All of the activities you suggested were perfect for our family and our vacation. Captain Donald, Audrey and Richard. We can’t say enough about our past week on the yacht! You guys went above and beyond to make our family trip unforgettable. If you are ever in the US, “It’s just a short trip to Alabama ” Cheers to you! 18- 25 June 2017 - Incredible Memories!! 5 Charters in and everything keeps getting better. You are truly family, and we look forward to next year with you in the BVI. The conversation, food, service, sights, experiences (boom jumps,scooters, dives,lost maps, early bedtimes), laughs and indelible memories will be cherished forever. Till next time, be well, my friends. This is not a goodbye… it is till I see you again. Love you all! Thank you for another fabulous holiday. I enjoyed all of your new creations,Audrey and all of the dives, Donald and wonderful cocktails, Richard. Thank you for all the new memories. Until next time. Donald,thank you for the amazing experiences on this trip! You never seem to disappoint! (I am jealous of your drone). Audrey, thank you for all of the delicious food! I think that the Tropical Chicken Salad is still my favorite. Richard, if I ever decide to pop around to South Africa, I will be sure to message you. By the way, I will dominate you in any game of your choice! Thank you for another amazing vacation. I had so much fun doing the dives,jumps and the scooters! I will miss you and can’t wait to see you again! 10– 16 June 2017 ~ Outstanding!! Our journey with you over the last week has been outstanding! The memories created will last a lifetime and leave us boarding the plane back to Maryland with a plan for the next trip! For me there is nothing better in life to watch my husband and boys laugh and smile together. You all certainly made that happen … 5 stars! The amazing creative food, never ending cocktails, scuba, snorkeling, map briefings and great jokes and tales along the way … As I’m sure you three sit back and observe “this” crew, we also did the same. Each of you is a key element to the success of this wonderful vacation. Donald –thank you for your vast knowledge of the sea and worldly wisdom and whit. Audrey – thank you for the amazing gift of planning and preparing excellent cuisine that met and far exceeded our expectations. Your attention to detail did not go unnoticed. Richard– you will go very far in life … your smile, drive to work hard and constant ability to make us all new libations … so fun! Enjoy your journey. So fair well for now – until we meet again! If ever near DC, please don’t hesitate to call and look us up. All our best. Whereto start? Thank you, thank you for one of the most wonderful vacations! Your care for us and your attention to detail was just perfect! Donald – all the adventures you planned for us were a blast. Your knowledge about the different dives and the Baths made the experience that much better. Taking us to Foxy’s (and meeting him! ),Willy T’s (Diving and jumping off) and Soggy Dollar were perfect Hot Spots. Your smile,energy and enthusiasm were infectious. Audrey –every meal was perfectly planned and so very delicious. Thank you for taking such good care of us this week. You made us feel more like family than just guests. Please call us when you are in Florida so we can meet for drinks and a little reunion. And Richard – thank you for all you did to make our vacation perfect! Keeping us hydrated or “double parked”, you are the best! Until we meet again! 27May – 03 June 2017 ~ Wow, wow, wow!!!!!! Donald,Audrey and Richard. Wow! What a vacation. How did we get so lucky to get you as our crew?? I have done the BVI vacation with another outfit. It was good – but you put them to shame. In a sentence …above and beyond. It is so clear to me that you all have worked to exceed our expectations. Thank you for that. While you didn’t get to see that side of it,you had a bunch of stressed out people on board. It melted away at minute one with the welcome aboard. Thank you for pulling off the ultimate Disney for adults. Richard, you are a lovely young man with a killer smile. You will go far in life. Ya’ll are welcome ANYTIME in Texas. I am confident we will see you again in the near future. Wow,wow, wow!!!!!! Words cannot express how this venture has been and will be one of the most amazing, spectacular vacations of our lives … bucket-list for sure!! Donald – thanks for the adventures, stories and laughter. Audrey – thanks for your amazing food, every meal. Richard – best dark and stormy maker ever! We look forward to being one of your repeat clients! Thank you for the best vacation EVER! We have never been so sad to leave a place. The diving, sailing, sling-shotting and sight-seeing were absolutely amazing, but they are nothing compared to the welcome, conversation and fun we shared with you all! Thank you, Donald for the patience,guidance and wisdom during our scuba training sessions; to Audrey for the incredible food and never letting us even THINK about being hungry; to Richard for the awesome drinks and the incredibly hard work you put into making us feel at home. We hope to see you all again sometime soon! How to say thank you for one of the best weeks of our lives? We’re not quite sure. Thank you for the many meals, the many laughs, and the many memories; thank you for each of the times you looked out for us and noticed a want or need we had that we didn’t even realize. Donald – thank you for daring me to be bold. Audrey – thank you for all of the special meals you made for me, pescatarian special. Richard – thank you for making me feel totally welcome in a very new environment. Thanks for the best, best, best week! Donald,Audrey and Richard. Thank you for making such a special week into an amazing one! Your care, enthusiasm, fun, food, drinks and jokes! were all fantastic.You made our “family” week one that we’ll remember with great affection all our lives. So many happy memories. Thank you!! Best week of my life! Thank you for making this week so special for us. Donald,thank you for the sailing, snorkeling, wakeboarding and all of the jokes!Audrey, thank you for all the delicious food – and with no calories?! Rich,thank you for all of the drinks and just for taking care of me all week! Thank you again!